Annan Athletic FC > Club > News Hub > AAFC News > Chapman secures 2 deadline deals. Chapman secures 2 deadline deals. Annan Athletic have added two young players to their squad ahead of this weekends trip to Berwick Rangers. Jordan Stewart joins the Black and Golds on a loan deal from St Mirren until the end of the season. 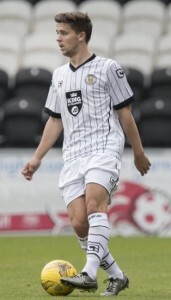 Steward made his debut for St Mirren on Aug 18th 2015 in a Petrofac Cup Tie at Galabank where he scored in the 2-1 victory. He is left-sided and can play full-back or in midfield. Jordan comes straight into the squad for Saturday’s match. 19 year old midfielder Tom Fry also signs on a loan deal, from Motherwell FC for the remainder of the season. 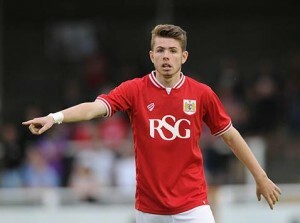 Tom came through the youth academy at Bristol City before signing with Motherwell FC last summer and is very highly rated by his parent club. To confirm all business from Annan Athletic this window….